Our complete line of Championship Billiard Pool Table Cushions. 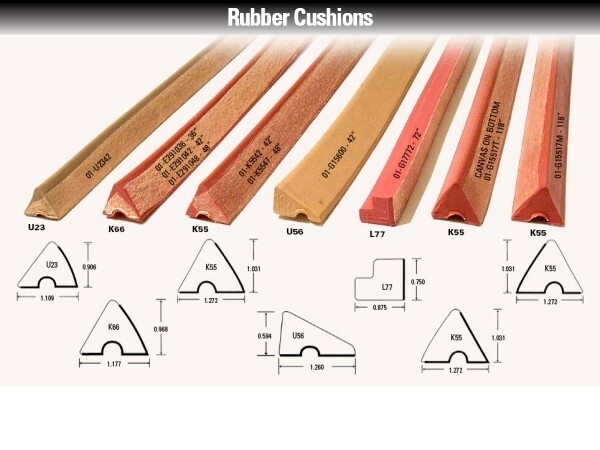 As a long time leading supplier of Cushion Rubber to the Billiard Industry, Championship has had an ongoing research and development program to produce the best quality and most consistent playing billiard cushions made today. After consulting with professional players and leading polymer chemists, Championship has developed a line of billiard cushions that set new industry standards. To insure that Championship's strict testing criteria and tolerances are met, we developed our own American Made tooling. Championship's tooling, "state of the art" manufacturing facility and strict quality control measures assure maximum integrity of formula and proper cure of each and every production run. The result is a line of Billiard Cushions with exacting tolerances required in durometer, dimensional accuracy, rebound, specific gravity elongation and overall performance. Through formula, quality control and all of the other factors mentioned above, Championship has obviated the need for a canvas control strip across the top of it's billiard cushions. Feel free to contact Championship's Sales Representatives if you would like to discuss why canvas control strips aren't used on our cushions and how more often than not; canvas control strips cause inaccuracies in most of the cushion rubber out on the market today. 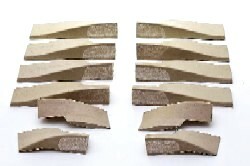 This product is available in K-55 and K-66 profiles. Championship's unique patent pending dual density formula has made Tour Edition the billiard cushion of choice for many leading billiard table manufacturers already. Tour Edition cannot be beat for accuracy and speed. Championship's testing has proven Tour Edition to be 100% accurate at all speeds. Try this amazing new billiard cushion as soon as possible. You'll be amazed with its performance. This billiard cushion is currently available in a K-66 profile only. Plans to introduce this billiard cushion in a K-55 profile are in the works. Pro-Am is brown in appearance and comes with no canvas control strip on the top as the accuracy of this billiard cushion is built into its formula and is not required. Though all of Championship's billiard cushions are 100% within BCA standards for accuracy, Pro-Am billiard cushions are more accurate than Mercury billiard cushions. Made out of a higher natural gum rubber content than Mercury billiard cushions, Pro-Am billiard cushions play slightly slower than Mercury. Pro-Am billiard cushions are made out of 72% natural gum rubber and have a 48-52 durameter. 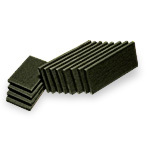 Championship guarantees plus or minus no more than 4/1,000ths of an inch variance in the overall dimensional stability of each billiard cushion from one end to the other (a measurement we challenge all other billiard cushion manufacturers to match). Rolling a cue ball down a 6-degree incline at a 40-inch distance from the bumper, this billiard cushion rebounds consistently at 22.3 inches. These billiard cushions can already be found on billiard tables made by leading table manufacturers such as: Valley; Vitalie; A.E. Schmidt Co.; World of Leisure; Great American; Canada Bowling & Billiards; Presidential Billiards; Beach Manufacturing; and California House. This billiard cushion is available in a K-66 profile only. It is black in appearance and comes without a canvas control strip on top as the accuracy of this billiard cushion is built into its formula and is not required. At slow, medium and high speeds, this billiard cushion meets BCA standards for accuracy 100% of the time (see description for testing criteria on billiard cushion front page). This billiard cushion is slightly faster than Championship's Pro-Am cushion rubber. While working 100% within BCA accuracy standards, this billiard cushion is nevertheless slightly less accurate than the Pro-Am billiard cushion. Mercury billiard cushions are made out of 65% natural gum rubber and have a 48-52 durameter. Championship guarantees plus or minus no more than 4/1,000ths of an inch variance in the overall dimensional stability of each billiard cushion from one end to the other (a measurement we challenge all other billiard cushion manufacturers to match). Rolling a cue ball down a 6-degree incline at a 40-inch distance from the bumper, this billiard cushion rebounds consistently at 22.8 inches. These billiard cushions can already be found on billiard tables made by leading manufacturers such as: Dynamo; Kasson; and Showood.